Panasonic has aready launched a number of HD camcorders (including Panasonic HDC-TM700K and Panasonic HDC-SD60K) but recently it presented the world's first high-definition camcorder able to record in 3D. The model is called HDC-SDT750 and in order to film in 3D it makes use of a sophisticated double lens, with the lenses being located side by side. 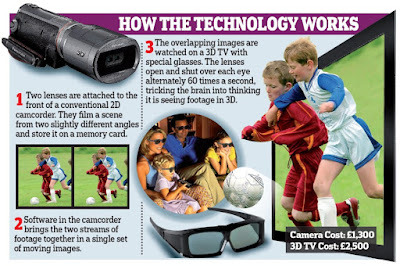 The spokesman for Panasonic, Barnaby Sykes, mentioned that the camcorder acts similar to a human's brain, converging two images together to make one three-dimensional picture. 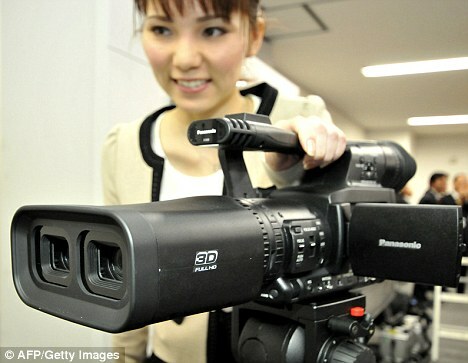 It would be interesting to note that the images recorder on Panasonic's new camcorder can be played on 3D TVs. One can view the images using so-called active shutter glasses that open and close over each eye in an alternating pattern at a speed of 60 times per second. These glasses trick the brain into thinking that it is seeing one image in 3D. In reality each eye of the viewer sees a somewhat different view of the same scene. It is possible that in the near future the lens system used in Panasonic HDC-SDT750 3D could allow people to make 3D video calls via the Internet. It is worth mentioning that the camcorder boasts a number of other interesting features, including face recognition, smile shot function and stabilization function. With the smile shot function the camera can detect a smiling face and automatically capture a still picture. Using the stabilization function, the user can smooth out camera shake. In addition, by removing the 3D lens you can use the camcorder as a standard 2D model. 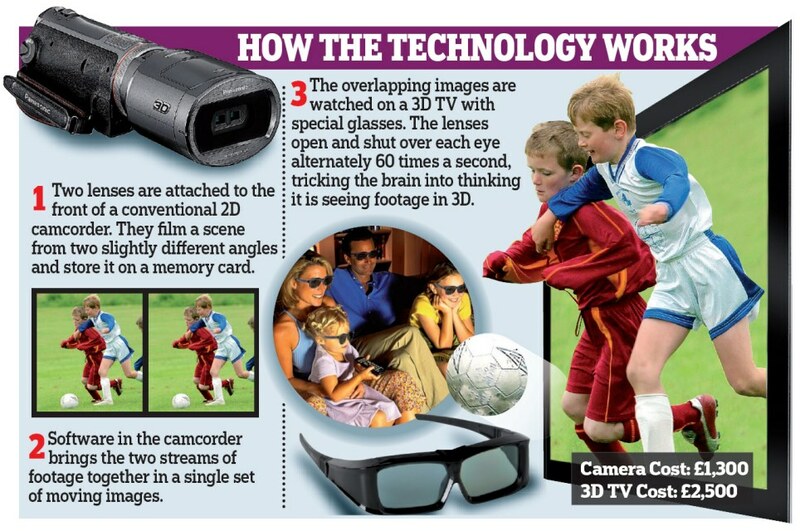 The company said that its new 3D camcorder will hit the market this September.